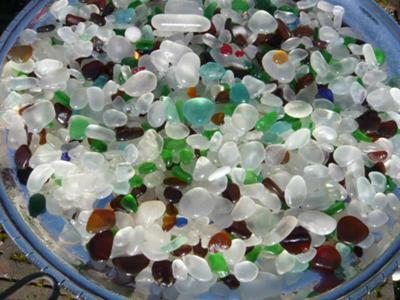 I have been to Glass beach in Port Townsend once and hiked from North beach. Is there any way to get access from McCurdy Point Road or near there? The hike from North Beach is pretty long. 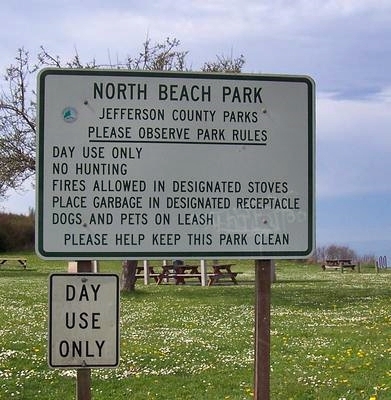 There is NO beach access from McCurdy Point Rd. There is a 100 foot bluff so you must hike from North Beach. Don't waste your time even trying to find a way down! See the photo above - that's the cliffs and it's much steeper than it looks with no path anywhere. it is a long long walk and there is very little glass. One thing that I didn't see mentioned here, is that there is no drinking water or Burger Kings on that stretch of beach. No outhouses, and very few places for "privacy". You might want to take water with you, as well as some kind of snacks - preferably something with protein (beef sticks, or peanut butter and jelly or not sandwiches. "Bath" tissue, something in case of rain and wind while you are an hour and a half or more from civilization as we know it. No Starbucks, either. But if you are into bad coffee, you might not want to go natural, anyway. I hope this helps. 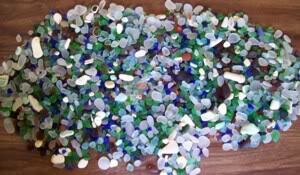 For a complete in-depth report on this beach including maps and many photos, sign up for our newsletter. Completely free with no obligations, if you don't want the newsletter after getting the report, it's easy to cancel. It is worth the hike. 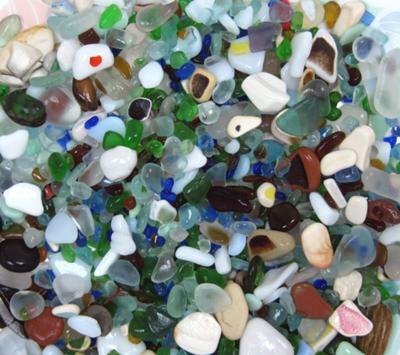 A couple years ago my daughters, my grandchildren, son in law and myself hiked to glass beach. Out of nine of us, myself, my daughter, son in law and 6 year old grandson were the only ones to make it. We went the wrong direction twice, so we figured it was about a 12 mile hike that day, and I wasn't even sore or tired. 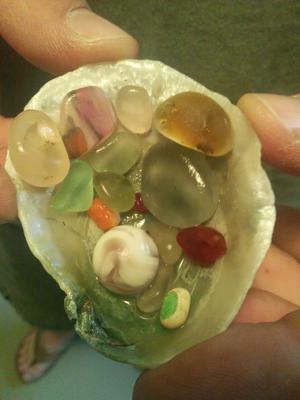 There was a lot of beach glass in the white and amber colors, also the green. 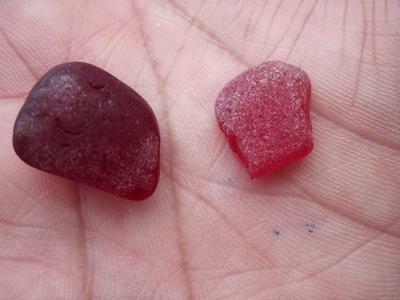 I found a red, and all of us had a few small blue ones. 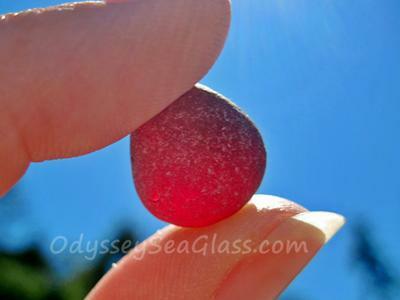 You have to look for it though if you are looking for the more rare colors and larger pieces. The small pieces are all over. 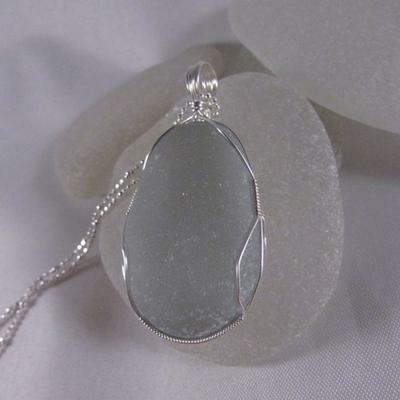 Take a little garden trowel and dig down a little in the gravelly sand. I want to go again, but I can't find a tide chart. Does anyone know how to get that information on-line? 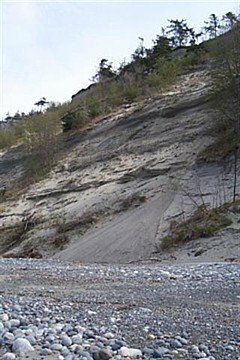 In the past you could park on a gravel road above McCurdy Point and walk about 3/4 mile through nice woods to the bluff, (gorgeous sunsets), and climb down to the beach on a rope. Then a few years back, some rich privateers built a house on the point and shut it down on all us poor folk. It's really not worth the hike anymore. Sat. 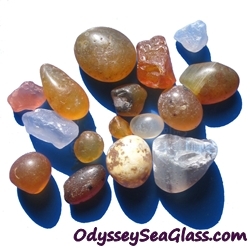 Aug. 21st we hiked to Glass Beach. There were nine of us, and three were children. The hike down there to McCurdy Point wasn't too bad, but I truly didn't think I'd make it back to the parking lot! 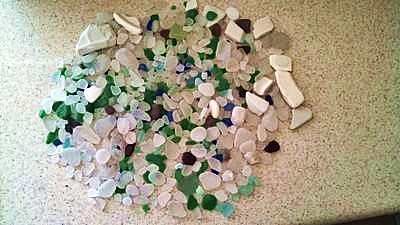 We found lots of small to medium size beach glass, but not the bigger stuff we thought we'd find. Maybe we should have gone further down the beach??? Anyway, we saw a deer on the beach that my grandson got about 10 ft. from. The deer couldn't find a way back up the bluff, for quite some distance. Finally, he found a brushy area with some small trees, and was able to climb away. We also saw a whale breech in the water. It was a very beautiful hike, and the scenery was so pretty. I should start a daily walking routine, and maybe I could go again, but not in the shape I'm in! I could hardly walk for two days! 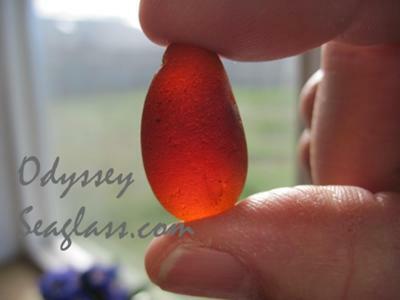 Oh, we also found some pretty agates, and a rock that looks like an artifact of some sort. Maybe a grinding stone or something. We're sure that it's something used by Native Americans at one time. The only ways I know of to get in there are via North Beach or via Cape George (private community). Its about the same distance walk either way but I think the North Beach route is "easier" walking. From the Cape George side, you won't run into very many other people but there are lots of big slippery rocks to walk over and quite a few fallen trees to navigate over and under--unless you wear boots and walk in the surf! From North Beach, its relatively moderate terrain and there's usually quite a few other people. 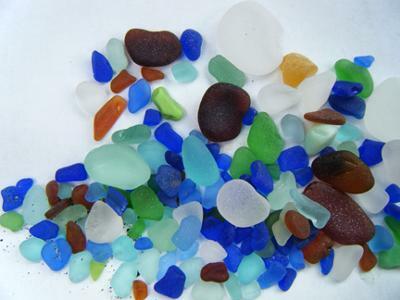 There's great sea glass and tons of other goodies on both routes.